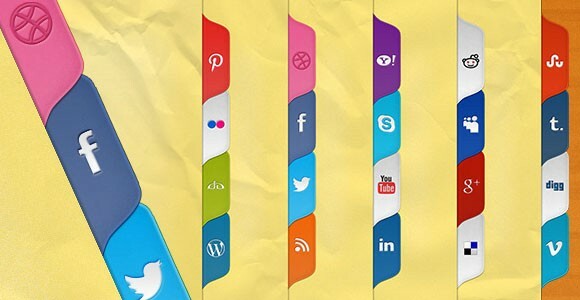 A unique, colourful and funky set of social media “tabs” to adorn the sidebar of your next design. Do something a little different to promote your social media presence with these vertical design elements – provided both as a free PSD and coded in CSS, for a range of different social networks! Designed by Mirona Tartan. Posted on November 17, 2012 in Free PSD, Code stuff, Miscellanea, Miscellanea and tagged social icons. This post has been viewed 6342 times.